THE Gillard government has reinstated its promise to cut company tax but says business must work out how to fund it so there is no effect on the budget bottom line. And job agencies will be rewarded for finding jobs for people interstate to help combat labour shortages in areas of high demand, such as the mining sector. Wrapping up the one-day economic forum in Brisbane yesterday, the Prime Minister, Julia Gillard, said the government's Business Tax Working Group, an expert body established last year, must come up with a funded company tax cut as an ''absolute top priority''. It has until the end of the year to report, raising the prospect of a company tax cut in next year's pre-election budget. In this year's May budget, the government abolished the promised 1 percentage point company tax cut that was worth $4.7 billion over four years and was to be funded by the mining tax. The Greens and the Coalition would not pass the legislation so the government redirected the money towards cost-of-living help for low- and middle-income families. 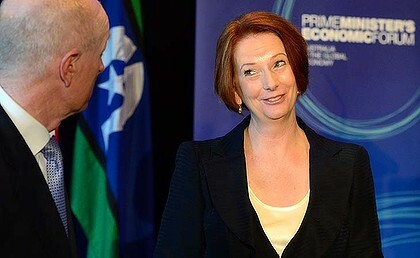 The business community was angry and Ms Gillard sought to to bury the hatchet yesterday. ''We heard you loud and clear on the company tax rate and we see it as a priority in the next steps on tax reform,'' she said. Ms Gillard did not specify the size of the cut but said it was up to the working group to nominate a cut that could be funded. The Prime Minister said it must be funded by reforming other business taxes and not, as business groups have demanded, an increase to the GST or a broadening of its base. Seeking to address the problem of labour mobility, Ms Gillard said her government would also offer incentives to job agencies which find positions interstate. Currently, the job network rewards agencies for finding people jobs in their local area. The commitment will appease unions angry at the resort to imported labour to help build large mining projects. Business was surprised by the tax-cut commitment given tax reform was not even listed as an item for discussion. The chief executive of the Business Council of Australia, Jennifer Westacott, told the forum the company tax commitment was welcome. ''But it will stand for little if it is not part of broader tax reform that delivers a net benefit to business right across the economy,'' she said. The need to lift productivity created a frisson between unions and business groups before the latter agreed cutting wages and conditions was not a solution. The governor of the Reserve Bank, Glenn Stevens, told the forum that lifting productivity was the nation's ''biggest challenge'' and the recent slowdown could not be blamed on the mining sector's huge investments, as has been cited by the government. Mr Stevens said there had been a material slowing in productivity over the past six to eight years and ''if you take mining out you still get this story''. He said the Productivity Commission had a long list of ideas, many of which were controversial and politically fraught, but he said that list should be considered. One idea floated by the commission was eradicating industry assistance but the Treasurer, Wayne Swan, would have none of it, saying investments in infrastructure, skills and education, and regulatory reform were preferred options. Mr Stevens said lifting productivity would help combat the deleterious effects of the high dollar on business. But he also spruiked the benefits of a high dollar and said people should be careful about wishing it to fall because every time someone put petrol in the car, bought an imported good, or travelled overseas, the high dollar was benefiting them. The mining boom has contributed to the high dollar and Mr Stevens said this was a spinoff of the boom for consumers. NEW YORK (MarketWatch) — After spending most of the session in positive territory, U.S. financial stocks slid into the red Wednesday afternoon, pushed lower by concerns over the upcoming Greek elections and further downgrading of Spain’s credit rating. Analysts at Egan-Jones Rating Co. announced late Wednesday afternoon that they had slashed Spain’s credit rating to a below-junk CCC+. That was followed by Moody’s downgrading the beleaguered Mediterranean nation’s sovereign rating to Baa3 from A3. Adding to Wall Street jitters was continued speculation that this weekend’s Greek parliamentary elections could ultimately result in the departure of the financially crippled nation from the euro zone. Read more on broader market. In the broader market, the Financial Select Sector SPDR ETF /quotes/zigman/246222/quotes/nls/xlf XLF -0.32% , which tracks financial stocks in the S&P 500 /quotes/zigman/3870025 SPX -0.70% , closed 0.3% lower, while the Dow Jones Industrial Average /quotes/zigman/627449 DJIA -0.62% dropped 77 points to close at 12,496. Market Pulse: Stocks finish lower on Europe uncertainty . J.P. Morgan Chase /quotes/zigman/272085/quotes/nls/jpm JPM +1.57% was the notable exception, with shares gaining ground after its chief executive officer, Jamie Dimon, testified before the U.S. Senate Banking Committee about how the banking titan recently lost billions in bad derivative trades. Read about Wednesday's banking hearing. Shares of J.P. Morgan /quotes/zigman/272085/quotes/nls/jpm JPM +1.57% added 1.6% to close at $34.20, making it the second-best-performing component of the Dow Jones Industrial Average /quotes/zigman/627449 DJIA -0.62% . The stock has taken a beating since the trading losses were revealed in early May but has managed to recover 3.5% in June. During testimony on Capitol Hill, Dimon defended the U.S. banking sector and his bank’s risk-management team, responding to a much-anticipated and sometimes heated interrogation from lawmakers over the trading loss at the financial institution’s U.K. trading unit. See MarketWatch's blog coverage of banking hearing. Dimon also was optimistic about the U.S. banking sector, responding to concerns raised by Democrats that less well-capitalized institutions might conduct the same risky trades and have a collateral impact on a more fragile economic system. Read MarketWatch's First Take on Dimon testimony. “Banks are better capitalized, they have more liquidity, there is more transparency, their boards are more engaged, risk committees are more engaged,” Dimon said. Read more about Dimon’s congressional testimony. Also fanning J.P. Morgan shares, Dimon said late Tuesday that he expected the company to produce a “solidly profitable” quarter as he apologized again for the trading blowup. Wall Street is dissing disinflation. With all due respect, that may be a mistake. Among the other three financial components in the blue-chip benchmark, Bank of America Corp. /quotes/zigman/190927/quotes/nls/bac BAC +0.13% rose nominally, while American Express Co. /quotes/zigman/217470/quotes/nls/axp AXP -2.44% fell 2.4% and Travelers Cos. /quotes/zigman/455344/quotes/nls/trv TRV -0.47% traded down 0.5%. On Wednesday, an American Express executive told an audience at a Morgan Stanley investment conference that credit-card spending growth had dipped in April and May. See story on American Express. Another exception to the downward trend was SunTrust Banks /quotes/zigman/242272/quotes/nls/sti STI +1.48% . Shares rose 1.5%, making it the best-performing bank stock listed on the S&P 500 /quotes/zigman/3870025 SPX -0.70% , after J.P. Morgan. When people are homeless, they are lucky if a passer-by throws them a bit of spare change in the street. 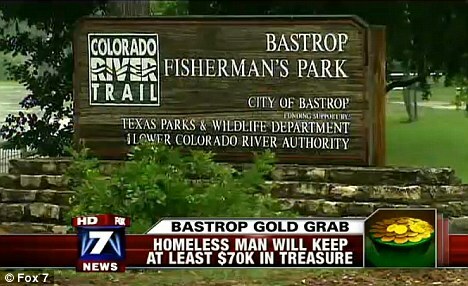 But when one homeless man in the U.S. decided to visit a Texas park, he could not have expected how lucky he would be. 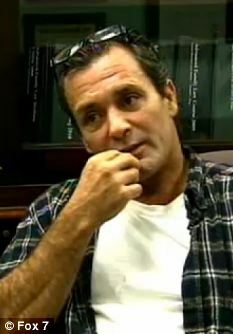 Timothy Yost found a bag full of money, but it was confiscated off him and a police investigation started into its origins. But following a vote at Bastrop city council last night, the 46-year-old was told he could have the stash - worth an astonishing $77,000 - back. The homeless man went to wash his feet in the Colorado River in January when he came across the bag. He decided to investigate further and kicked the bag, upon which it jingled. 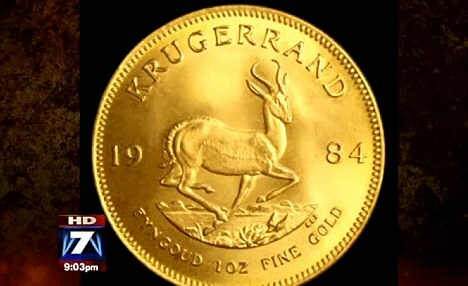 Inside, the homeless man found a mound of South African coins and wet cash. Mr Yost then took the bag of money to a bank, where he tried to swap the damp bills for fresh money. However, the bank clerk became suspicious and called the police. The city of Bastrop then kept hold of the money while detectives tried to find the owner of the haul and see if a crime had occurred. However, Mr Yost was left having to celebrate his new found wealth in prison. He has since been jailed for public intoxication and criminal trespass. It's traditional for bankers and their customers to think about banking as centered on the bank account. Even policy makers talk about "banking the unbanked" as if opening a bank account immediately changes a person from financially excluded to included. The bank account is the top line indicator examined by the Global Findex, the new survey of financial access by 150,000 adults from over 148 countries. The finding that 43 percent of adults in the developing world have bank accounts has quickly become the reference point for financial inclusion. For decades, balancing one's checkbook has been the cornerstone of personal finance for conscientious adults in the developed world. When I first opened an account of my own, I received a little checkbook-sized booklet in which to write down every deposit and withdrawal. I learned that keeping track of the bank balance was like the personal hygiene of finance, like brushing your financial teeth. I believe this 1950s image of the bank account is an unacknowledged presence in the minds of bankers and policy makers like the G-20 financial inclusion group when they advocate banking the unbanked. There is an assumption that opening an account equates with using an account to manage personal finances. But what if the low income people who don't have bank accounts -- and many who do -- don't see things that way? • The Global Findex shows that many bank accounts in the developing world are relatively inactive. While in high income countries, 72 percent of accounts have more than two withdrawals per month, in low and middle income countries that figure plummets to 16-17 percent. Many people appear to be using their accounts simply as a way to get paid. • Yet Portfolios of the Poor reveals that low income people have complex financial lives in which they manage many financial arrangements at the same time. Individuals often have multiple, complicated transactions going on at once - cash stashed away somewhere, a loan from a friend, sales on credit, etc. • In many countries that have introduced them, "no frills" bank accounts designed as starter accounts for the poor have experienced very low usage. This raises the very important question: for low income people who are "unbanked" where does "money management" reside? And what is money management, anyway? Money management is an essential component of financial capability. I propose the following definition: money management is the ongoing process of keeping track of one's financial status so that as new financial decisions arise one can make them appropriately and maintain personal solvency. The focus is on maintaining a consolidated view of where one's financial assets and liabilities are at any given time. If I have a bank account that keeps track of deposits and pay outs, I can consult my bank statement whenever I have to make an important financial decision, and therefore I do not need to keep the money management function in my head. I can outsource a big part of my money management process to the bank account. But what if I am a first time user of an account? I might prefer to keep track in the way I am used to, which in all likelihood means keeping a running tab in my head. Unless I already keep a written record of my financial transactions (probably rare except for sophisticated microenterprises) it might not occur to me to use an account as a money management tool. Moreover, if most of my transactions remain informal, a bank account would not be a very good representation of my financial life. The implications of this observation for providers and policy makers are profound. Providers and policy makers should not expect people to shift their locus of money management in a twinkling. It is likely to be a gradual process, involving financial education (how to use an account as a money management tool) and, perhaps even more important, the formalization of transactions so more of them flow through the account. This observation also shows the fallacy of no frills accounts: perhaps the low demand for the money management support provided by an account shows that many people are satisfied with the money management function that resides between their ears. It also poses a challenge to payments innovations like mobile money or remittances sent through money transfer organizations. If provided outside the context of a bank account, such transactions do not result in consolidation of the money management function, but instead require a person to continue to keep track in the head (or somewhere else). I am finally left with a question I do not know how to answer, but it is a question that should occupy anyone working on financial inclusion. If we want to assist people in their efforts to be competent money managers, what is the best mix of services? I would welcome your thoughts. The Premier League has secured its status as world football’s richest competition with an astonishing 3.018billion deal for domestic TV rights for three years. The agreements, which start from the 2013-14 campaign, are a remarkable 70 per cent increase on the current contract. Long-term partners Sky will show 116 games a season - the maximum allowed for one station - and newcomers BT have gained a 38-game foothold. The mind-boggling numbers mean the goldrush Premier League is being paid 6.5million for every one of their 154 live TV games per season at a time of austerity when the value of most TV sports contracts are falling or only holding up. The big losers are the devastated Walt Disney-owned ESPN, who were desperate to expand their one-package Premier League portfolio but have ended up with nothing. This is due to surprise entrants BT being prepared to pay 738m over three years for the games that cannot be sold to Sky, who have forked out 2.28bn. BT will launch a new ‘football-based’ channel to carry its 38 Premier League games from the 2013-14 season and could distribute it to ‘other platforms’ like Sky or Virgin. The company will release full details and pricing in ‘due course’, but non-BT customers could expect to pay around 10 per month. Sky’s ‘Monday Night Football’, an 8pm match, and ‘Super Sunday’, featuring 1.30pm and 4pm kick-offs, are unaffected. But ESPN’s absence means Sky also take over the Saturday 5.30pm kick-offs. ‘It’s down to the excitement of the competition,’ said Premier League chief executive Richard Scudamore, who can expect a healthy annual bonus from a grateful Premier League remuneration committee as a reward for his jackpot negotiating skills. There must now be considerable doubts as to whether ESPN, who regarded Premier League property as crucial to their business plan, will continue with their UK operation once their current contracts expire. These include Premiership rugby and the FA Cup, giving the FA more worries about their broadcast partners — ESPN having taken over from the doomed Setanta. Scudamore was surprised by the size of the offers, boosted by the ultimate drama of Manchester City clinching the title in injury time of the last game of the season. ‘We couldn’t have gone to market at a better time,’ he admitted. Sky had been due to go to the market three months earlier but were delayed by the European red tape surrounding the Portsmouth landlady case, involving pub football screening via a Greek TV decoder. But it was widely expected that Sky, who have shown the Premier League for the 20 years since its inception, would retain the lionshare of the packages. Yet Rupert Murdoch’s satellite company have had to pay the whopping 2.28bn — a premium of around 40 per cent — to keep their dominant position as the main broadcaster of Premier League football. Sky were very concerned that money-no-object Middle East network Al Jazeera would be their major competition, so had to bid big accordingly. It is still not clear — and the PL cleverly encouraged uncertainty — as to whether Al Jazeera, who have been preoccupied setting up their French football operation, even put in a bid. But Al Jazeera are sure to be at the PL rights table next time around, giving the clubs the expectation of another bonanza. The cost of showing a Premier League game in the UK — 6.53m in 2013 — will be 10 times more than when it launched in 1992. ESPN are understood to have competed strongly with BT through two rounds of bidding. And Scudamore’s team were able to extricate every possible penny from what were previously the least attractive match choices by the ‘game changer’ of including a total of 18 first picks in BT’s set of 38 games to be shown on the Saturday 12.45pm slot and midweek and Bank Holidays. This reformatting of the packages has resulted in the price for those 38 games rising from 2.3m-a-match to 6.5m - an increase of 260 per cent. BT will be setting up a new football-based channel to drive business to their BT Vision station, which has 700,000 subscribers. Scudamore said: ‘We welcome BT as a new broadcast partner. ‘They are a substantial British company that is at leading edge of technology. They will deliver new ways in which fans will be able to follow the competition. However, the American owners might well have given up on the UK market long before then. I think this is a fantastic thing for the Premier League and the clubs involved in it, if Sky and BT want to pay this sort of money not to be out-bidded for what is, let's face it, the most competitive and watched top-flight league in the world, then let them, the clubs are the ones who benefit, hence why it is so competitive! Why shouldn't the Premier League sell it to the highest bidder? Have we got to subscribe to another channel to get some of the games now? Is this channel available on sky? And how much extra is it? They should really have a standalone sky sports football channel, purely for footie fans who don't want other sports, and for sports fans who dont like football.. They have done it for F1, so no reason they couldn't do for football. There's no way i'm going to subscribe to yet ANOTHER channel. They really are taking the Michael Jackson now. When the money bubble bursts AND IT WILL then and only then can we get some sanity back into the English game. Here in the USA they had the wisdom to see the long term damage being done to the English game by not imposing a wage cap. So what did they do ? Impose a wage cap BUT unlike in the EPL where players sign over their IMAGE RIGHTS earnings, here they are allowed to keep them. Accordingly high profile players like Becks, Henry and others earn substantial 'off field' amounts while at the same time it acts as an incentive to the up an coming youngsters to continually seek to improve their own game. Here I pay $70 (45 pounds a month) for 120 + channels PLUS Fox Soccer, Fox Soccer Plus, Brazilian, Spanish, German, Italian soccer and three ESPN soccer channels. At weekends I can watch up to eight EPL games either live or simply by setting my DVR. 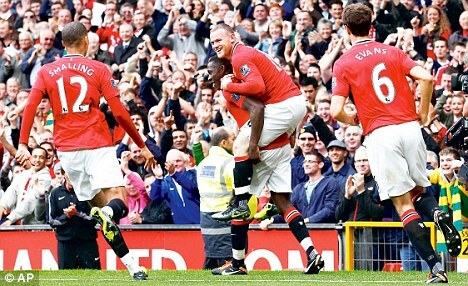 In the interim period I expect Rooney will be in for a pay rise to pay for his latest hair cut !!!!! My sky sports subscription for a year is @ £600. I probably spend close to £300 a year on newspapers. you make your own choices. I don't smoke for example. Plans to improve protections for savers' money in the event of a bank collapse will be revealed by the chancellor, George Osborne, later today. In a speech to City grandees at the Mansion House in London, the chancellor will propose reforms to banking rules and regulations based on the recommendations of the Independent Commission on Banking (ICB) to promote competition and reduce the risk of future bank failures and bailouts. Mr Osborne is expected to propose that individual depositors are first in line to get their money back in case a bank fails, leaving bondholders and corporate creditors to share whatever money remains. It is important that George Osborne does not impose costly policies that will have no benefit. The ring-fencing of deposit-taking and other banking functions from each other is largely irrelevant and may drive banks away from the UK. But despite having promised to implement the recommendations in full, the government will water down the "ring-fence" around ordinary savers' money in a bank's high street business to ensure it cannot be used to fund risky investment banking activities. The banking industry has lobbied against the "ring-fence" saying that being forced to hold more money in reserve will increase the cost of doing business and that higher costs will have to be passed on to customers. Sky's City Editor, Mark Kleinman, has revealed that the body which manages the taxpayer's stakes in Britain's bailed-out banks has also objected to some of the ICB's proposals. UK Financial Investments, which oversees tens of billions of pounds-worth of Government-held shares in Lloyds Banking Group and Royal Bank of Scotland, has said it is concerned about the added bureaucracy of having separate boards for the ring-fenced bank. In a concession to industry chiefs, the Chancellor will allow a limited number of investments to be offered through the ring-fenced bank such as "hedging tools" which are sold to small businesses to guard against interest rate and currency rate fluctuations. The details will be contained in a White Paper which will remain open for further consultation before draft legislation is written in the autumn. New rules to make it easier for customers to switch between banks are due to come into effect in 2013. The wider reforms are expected to be written into law before the next general election in 2015 but the ICB has recommended giving banks until 2019 to implement them. Britain's biggest bank, HSBC, has threatened to move its headquarters elsewhere if the government proceeds with new rules that will disadvantage it in competition with international rivals. Professor Philip Booth from Cass Business School said: "It is important that George Osborne does not impose costly policies that will have no benefit. "The ring-fencing of deposit-taking and other banking functions from each other is largely irrelevant and may drive banks away from the UK." Business consultants Deloitte have welcomed the long awaited publication of the government's intentions. David Strachan, co-head of the Deloitte centre for regulatory strategy, said: "So far, banks are understandably holding off committing to the design of a ring-fence that may ultimately not meet the Government's criteria. "Given the complexities and execution risks involved in restructuring of this magnitude, it's essential that banks and investors first get the clarity they need and then there is enough time for the banks to implement all this properly."